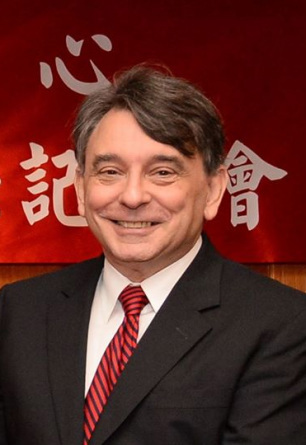 Dr. William A. Stanton is the founding Director of the Center for Asia Policy in National Tsing Hua University, a think tank focused on increasing public engagement with international affairs and supporting the efforts of Taiwanese policymakers. Prior to his entry into academics, Dr. Stanton served for 34 years as a career diplomat at the U.S. Department of State. His final posting was as the Director of the American Institute in Taiwan (the de facto U.S. Embassy) from August 2009 to July 2012. He also served as the Deputy Chief of Mission at the U.S. Embassy in Seoul, South Korea; Deputy Chief of Mission at the U.S. Embassy in Canberra, Australia; Director of the Office of U.N. Political Affairs; and Director of the Office of Egyptian and North African Affairs. Other experiences include postings in Beijing, Islamabad and Beirut. Mr. Stanton earned his B.A.from Fordham University in New York and his M.A. and Ph.D. in English literature from the University of North Carolina at Chapel Hill.